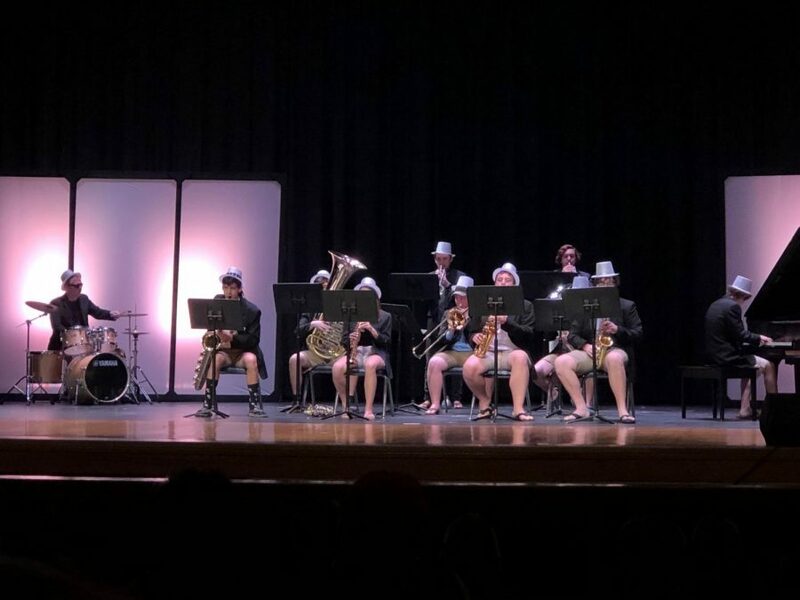 The Board and His Men perform during Act II at the Ocean Lakes Talent Show on March 23. Over 280 spectators gathered in the auditorium for the 14th Annual Talent Show to watch students and teachers. Acts varied from hooping, singing, and a boy band. Each act auditioned for 24 final slots in the show, which were hand selected by Claude Blanchard and Patrick Rostock. According to the school’s theater company director and sponsor Claude Blanchard, they wanted to tie the show into our season with the fall play (Laramie Project) and musical (Wizard of Oz) with the technicolor aspects. “Each year, we try to up the ante concerning lighting, set, variety of acts, etc,” said Blanchard.